These 3d illustrations were completed as a design development/branding exercise to showcase and test design solutions for a new mixed-use development in Amityville, New York – appropriately named Greybarn. The residential development contains a large retail component. The images I produced focused on the hospitality spaces – the lounge/bar and outdoor patio. These images were completed for Piranha, while the overall art direction was supplied by The Seventh Art. All items in the scene (except for some of the props) were modeled, textured, and lit by kk. The lounge image displays the overall brand ideas for the entire project. 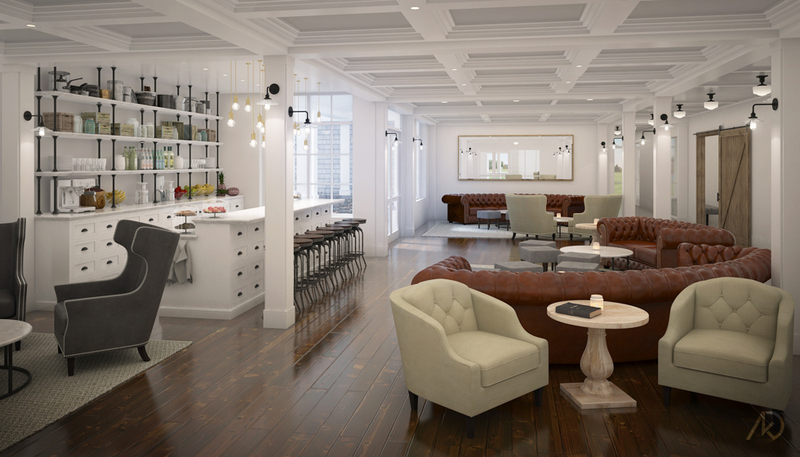 All hospitality spaces within the Greybarn project are to be cozy with simple rustic touches. 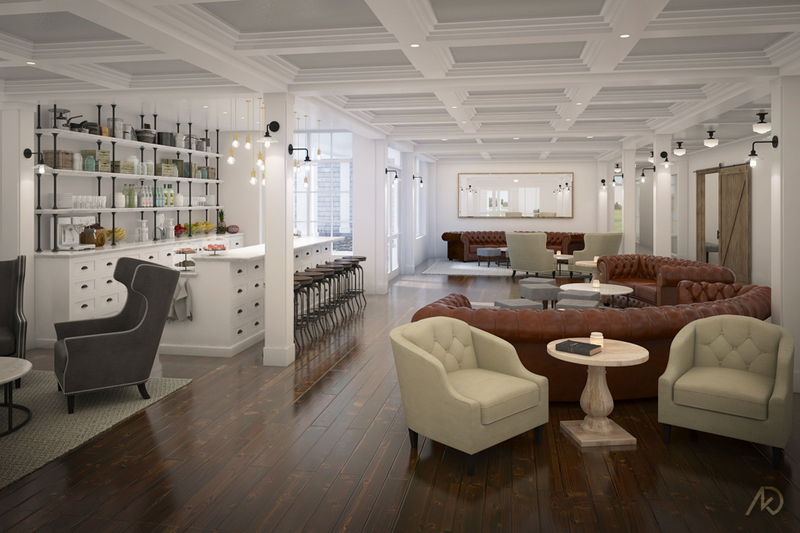 The lounge image shows the bar and casual seating areas. To the right of the image, behind the barn door(s) are some amenity spaces such as a game room and dining room. 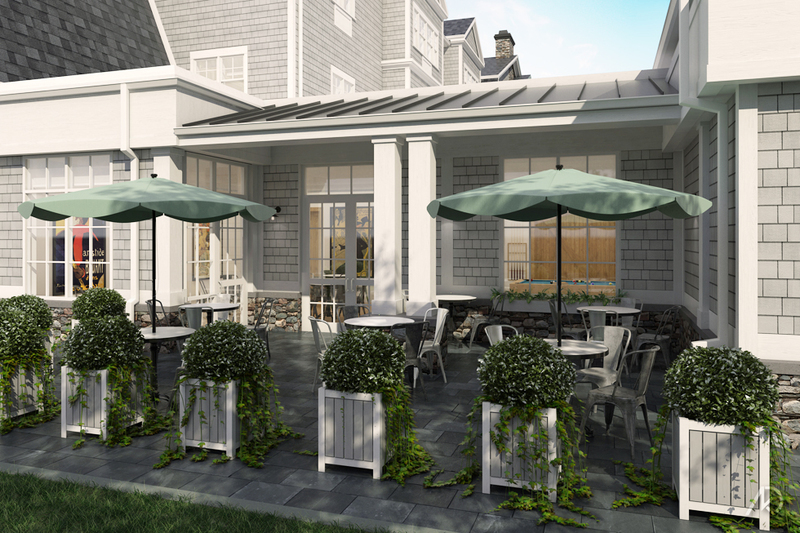 The patio image displays the traditional finishes of the exterior – asphalt shingle roof, painted wood trim, and grey shingle siding. As part of the brand package, the patio image wanted to show a casual spot in the shade where one can relax.